If friends were pumpkins, I'd pick you! 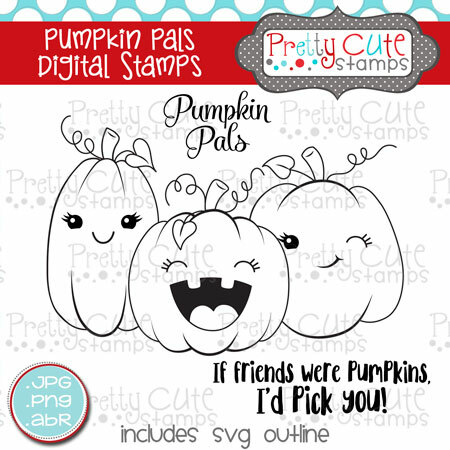 This DIGITAL set of 3 stamps features a three sweet pumpkin pals with sentiments to match. If friends were pumpkins, I'd pick you!